The lecture focuses on how changes can be incorporated into the agenda and how to deal with changes in practice. The lecture is relevant for companies that are in the middle of a concrete change process as well as for companies that want to welcome changes in their day-to-day operations. The individual employee’s attitude toward change. Here, we work with comfort zones, particularly why and when people become so focused on peace of mind and comfort that they stop pursuing opportunities for improvements both personally and professionally. The organization’s combined ability to change. Which concrete and available tools can be implemented to achieve the goal of becoming a more change-ready organization? Many companies want to see more cross-functional cooperation. For years we have been talking about breaking down silos. The solution is not breaking them down but rather cooperating better across silos and professional boundaries. It is more important to change attitude toward other silos than to restructure and design new organizational structures, KPI structures, etc. It is important to understand that the transition from working individually (in a department) to working with cooperation (in an organization) isn’t an intellectual process, but rather an emotional process. lack of knowledge of/respect for other departments’ knowledge, opinions, and expertise. It is about drawing attention to what the company gains from cooperation across departments, as well as what the customers will achieve from such focus. realize the strengths in diversity. The combination of Soulaima Gourani’s extensive knowledge of change theory, which she teaches at the Copenhagen Business School, and her practical experience in building relationships internally in an organization results in a realistic and implementable lecture. 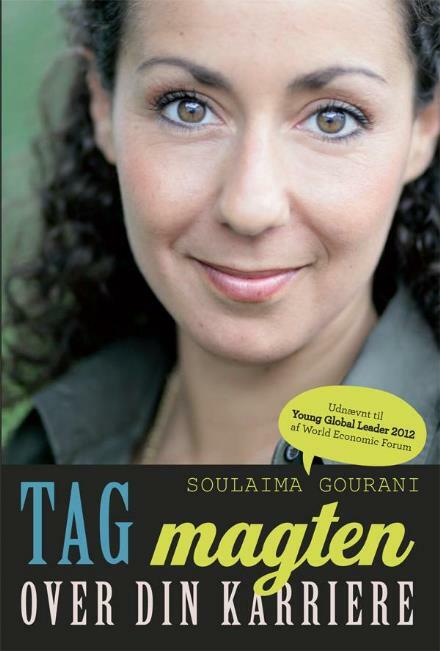 Soulaima Gourani was born in 1975, and she shares many of those opinions and outlooks on life that define Generation Y. Soulaima Gourani has many different opinions about how we can optimize cooperation across generations. Numerous companies will soon suffer from hangovers because of a lack of focus on talent development and generation management during the crisis! The next two generations of working age are few in number. Therefore, we will need every single one, and that ought to be reason enough to take talent development and our ability to lead across generations seriously. The penalty for short-term thinking will come—in a few years, it will no longer be possible to deal with problems by means of rationalization. The solution is to use the secret weapon: as a company and a leader, you must be “relevant, authentic, and original.” You and your company must have a higher purpose than merely earning a profit! There has to be a deeper meaning in what you do. In addition, you have to ensure that you keep your hands clean (for example, by not getting involved in corruption and/or child labor or by giving yourself a bonus while ordering a pay cut for other employees). In order to survive the intense battle in the marketplace, the company and its management must create a corporate image that is based on the concept that you deserve your success. It is acceptable that the company is profitable and has that as a goal, but it just cannot be the only goal that you strive to achieve. Generation Y engages the attention of many organizations these days. The term Generation Y was first introduced in an editorial in the American magazine Ad Age in August 1993. In the editorial, Generation Y was defined as “persons born in the period 1981–1995,” but the definition has been revised, and now Generation Y is typically considered to consist of persons below the age of 30. Generation Y is a generation relatively few in number. The business community is beginning to understand that this generation and its view on work and leisure time force companies to implement new processes and strategies for management. 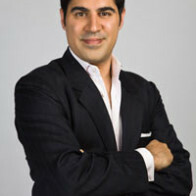 The lecture provides companies with insight into the mind-set of a Generation Y person. The focus is on the conditions that markedly separate this generation from older generations. As an example, Generation Y has a different view on work and career. The lecture gives an insight into how the changed rules and terms of the game have turned thoughts on job creation and motivation upside down. It is highly relevant to discuss communication with and management of Generation Y. It is about attracting, developing, and capitalizing on Generation Y. Get pragmatic inspiration for how your organization can attract and retain young people who are to form the foundation for your current and future success. The talent strategy needs to be reconsidered. It is not new that young people have high demands. The combination of youth and talent makes the management role extra challenging. The chasm between generations is getting narrower, and therefore, all managers are facing a massive challenge. We have to continuously adjust our approach in managing the youth. We have to continue to differentiate and individualize our talent development programs to make them appeal to each individual person. This is what the young people expect, and the old ways just won’t cut it anymore. The lecture will involve discussions about how your organization can attract young people and what it means for you to get them on board. This lecture will help your organization change the way you view your customers. All participants will learn how much their personal involvement with the customer means for the success of their company. Do you want to motivate your employees to make much closer and longer-lasting customer relationships with the aim of creating long-term relationships, with increased sales as one of the effects? This lecture focuses on customers, services, and personal relationships with the customers. What do you really think about your customers? We have learned that in organizations where it is OK to talk disparagingly about a customer behind the customer’s back, the trend can spread like a poison throughout the entire organization. Many companies admit that the world would be a better place if those crazy customers weren’t there! In many companies, the customers are regarded as stupid fools. You might have learned to say the right things on the phone, in letters, when you are standing behind the counter, etc. ; but that doesn’t change the fact that if it is considered OK to talk disparagingly about your customers behind their back, you can be certain that your customers will hear about it or feel your attitude toward them someday. This lecture will make you think about your customer culture. Many international organizations have ditched the word customer and replaced it with members, fans, or even colleagues. What happens is that the culture adapts, and the customer gets better service because your mental attitude is changed when you talk about a fan, instead of a client. Would you become a fan of your own company if you were a customer? The question is, if your company is ready to open a fan club. Book this lecture and enjoy a fun and thought-provoking hour that will change your mental attitude toward your customers forever! We used to believe that high IQ, by definition, results in a successful career and that companies consistently focus on hiring the smartest people with the highest grades. That is not necessarily how it is today because the focus on high IQ is now shifting to EQ, or emotional intelligence. EQ represents a person’s combined ability and motivation to understand other people and the ability to be part of relationships. Companies are increasingly looking for employees with emphatic abilities, intuition, self-knowledge, and social skills. They cast their employees based on the criterion that they have to be persons whom others remember and whom people will trust. Even job positions that were traditionally characterized as introvert and internally oriented today require collaboration and contact with other people, and therefore, it is important for everybody to train their EQ and try to inspire confidence in other people. All of us—including consumers, coworkers, and employees—have become more critical and seek authentic individuals and people whom they can trust. We are no longer buying from the salesman who is driving a big car or wearing the most expensive suit, but from the person we trust the most. This is true not only when talking about salespeople but in dealing with all types of professional relationships. Therefore, trust is the most important prerequisite for growth in all companies and organizations, but it is the hardest thing to build and the easiest to lose! Do you inspire confidence or mistrust? Are you recommended by others, or do people warn against working with you? It is of utmost importance for you to know that, and everybody should ask themselves, how can the company and the employees build a strong, trustworthy image? Every time people meet at a business meeting, a reception, a job interview, or perhaps an investor meeting, you are looked upon subjectively and other people think about their current and future relationship with you. Do they want to spend their valuable time and resources on you? Everybody is studying everybody. The question is whether you know what they are looking for. Everybody can work on improving their EQ—unlike their IQ, which they have from birth. You are constantly challenged by new relationships, problems, and new technology; but the question is, how do you tackle these changes? Your reaction to changes is nothing but a learned habit that you have chosen to accept! The next time you consider your need for a professional course to strengthen your profile, you should stop and reconsider. Should you perhaps spend your time nurturing your customers, your network, or your ability to be part of trusting relationships instead? That will show to be a better investment than if you decide to focus only on the development of your professional skills. This lecture teaches you how to inspire confidence in other people and create social relationships to benefit your career. You will receive concrete advice on how to work with and develop your EQ, as well as how to get your ideas across. Back in 2001, nobody was talking about networking. Soulaima Gourani shares her impressive knowledge on networking based on her ten years of experience, together with the latest research on professional relationships. Nowadays, businesspeople either talk a lot about relationships and networking—although many people are of the opinion that they don’t know how to do networking—or don’t want to. 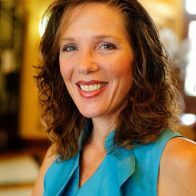 Many believe that networking borders on being unethical and cynical, but networking is actually all about helping others. To give, before you take. It is warm, personal, and all about trust. Today, the most important resource is an individual’s knowledge and competences, which at the same time constitute the most important commodity and source of income. The idea that knowledge is best exchanged between people who trust one another makes networking competences essential in connection to knowledge “trading.” Soulaima Gourani sees networking as a way for companies to take a shortcut to information, inspiration, and influence. Soulaima Gourani offers a lecture in which you will learn how to map out your professional network. You will get concrete tools to help you nurture your internal and external networks and relationships. You will get tools to help you expand your networks to make them match your individual needs and goals. The lecture motivates and inspires everybody to think of “networking, relationships, and alliances” as a natural way to work and as a way to grow as an employee and colleague. Soulaima can provide concrete help in establishing physical networking groups. 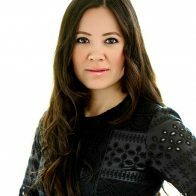 Companies such as Danish IT, Codan, City of Copenhagen, DONG Energy, and many others have already taken advantage of Soulaima Gourani in her role as a designer, coordinator, and consultant on networking group projects. “Work-Life Balance” is a lecture about balance, barriers, and decisions in a busy life with changes, ambitions, marriage, children, and family. This personal lecture is about life design and trade-offs based on Soulaima’s own experiences from a busy life with two small children, ambitions, an international career, and a long-lasting marriage. This is an active and engaging lecture with plenty of opportunities to ask questions and reflect upon your own life. There is a lot to be said about Soulaima Gourani and her many experiences. 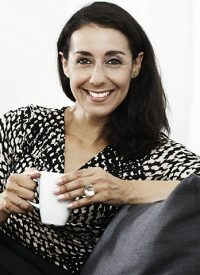 At the age of twenty-eight, Soulaima Gourani received recognition as one of Denmark’s brightest business women when she received the prestigious Rising Star award and the Talent 2004 award. Since then, she has gained valuable management experience from companies such as Hewlett-Packard and A.P. Moller-Maersk. Today, Soulaima Gourani exploits her vast knowledge and experience as an adviser and speaker for some of the world’s most innovative companies, when they seek inspiration and motivation. She is also author and contributing author to a number of books. 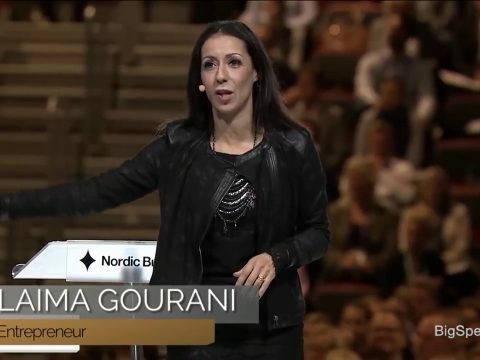 In 2012 Soulaima Gourani was recognized as one of the 20 most business-minded people in the Nordic countries by Nordic Business Forum. In 2014 she was selected to be amongst 40 under 40 European Young Leaders by EuropaNova and Friends of Europe and in 2016 she was appointed to be amongst the ‘Inspiring fifty’ European list of inspiring role models as well as appointed to be UN Woman Ambassador Advisor. 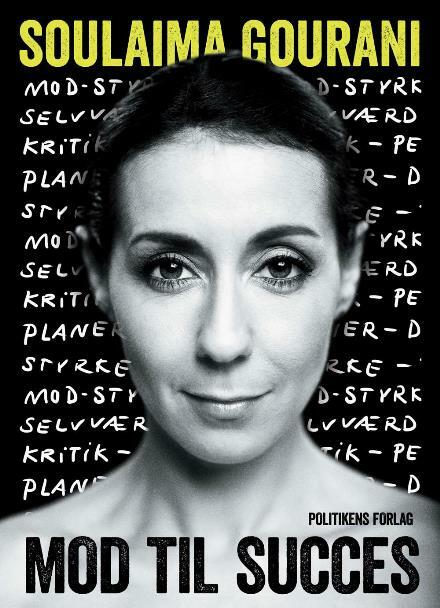 Soulaima Gourani is much sought after as a speaker, where her role is to revitalize both Danish and international companies in areas such as strategy, management, and career development. Throughout her career, Soulaima has inspired and challenged an impressive number of the worlds’ largest and most innovative companies—a fact that her list of references can testify to. 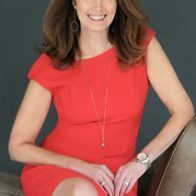 She is in high demand because of her ten years of management experience in multinational companies, her vast knowledge and innovative approach to sales, her management strategy, her career development, her ability to predict how markets will respond and change, and her almost-unlimited energy and authenticity. She was rewarded for these qualities when she received an award as a speaker of the year in 2010 in the category Trends and Tendencies.